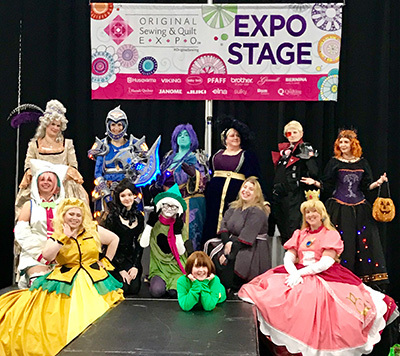 Come on out to Original Sewing & Quilt Expo at the RP Funding Center in Lakeland, FL on Thursday, Friday and Saturday, March 14, 15 & 16 for all things Cosplay. Shopping, shopping, shopping! Experience retail therapy inside the Exhibit Hall where you’ll be surrounded by an incredible selection of machines, tools, fabrics, notions and patterns. Be sure to check out Classic Sewing Booth #218 and Vogue Fabrics Booth #1025 for cosplay supplies.